Liberal globalist billionaire George Soros is always scheming and up to something. George Soros, the Holocaust survivor and wealthy philanthropist, has vowed to donate millions of dollars to fight a spike in reported hate crimes nationwide in the weeks following the fraught presidential election. 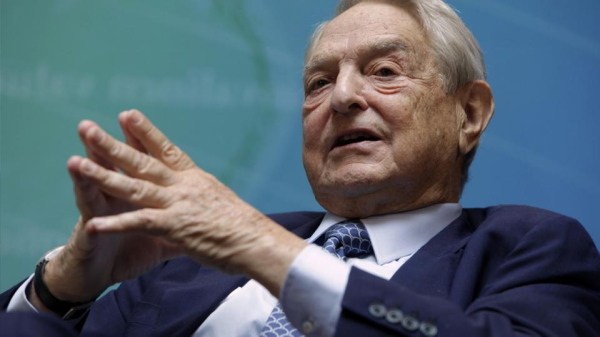 Soros’s organization, the Open Society Foundation, has promised to donate $10 million towards tracking and fighting hate crimes nationwide, Public Radio International reported. What does this really mean? Soros always says he’ll do one thing, but then months later, he’s actually scheming behind the scenes. Could this mean a crack-down on right-wingers online? Possibly. Guest post by John Binder of American Lookout.